I know a lot of you have been waiting a long time for some updates on when more modems will be available, and I’m sorry I’ve been a bit absent from here lately. As you might now, MicroModem is not my primary occupation, and running another business just means that sometimes priorities go there. I’ve been very busy building another kind of wireless communication system, providing high-speed internet access to rural areas that are underserved. Here’s me and some radio systems just installed. They’re quite a bit faster, but not always as fun as MicroModem. 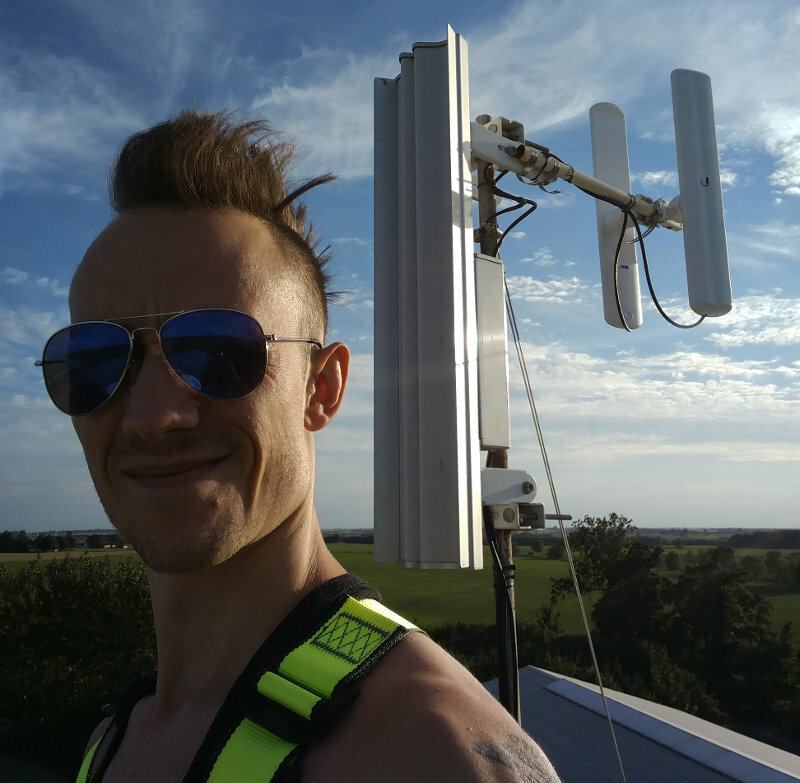 In other news, the season for climbing around tall buildings and antenna-towers is coming to an end, and I’ll have much more time to focus on building some modems and hopefully getting some software work done as well! You can expect more modems to be available in the shop by mid-november the latest. I’ve also been getting a ton of email lately, and while I do try to answer everyone, I can’t always answer it all. If you wrote me and I didn’t get back, I apologize. If you still need help with something MicroModem related, or just have other questions, please try again 🙂 I’m have a bit more time now. Hello Markqvist, I have a project that deals with telemetry. Is the micromodem compatible with having 4 stations in relay (Central Monitoring Station > ///< Station C)? And is it compatible with easy transfer library? Thanks in advance! Can’t wait to see what updates you have for us. Can I make a run of micromodems? And, now can I share it back with you. I have need of a few micromodems. 2 to 6. You know it’s the same to build 20 as 2. I’d be happy to fund a run if you will send me the eagle board / files.